"Brand new awesome looking casino"
Hyper Casino is brand new casino, launched in the beginning of 2019. 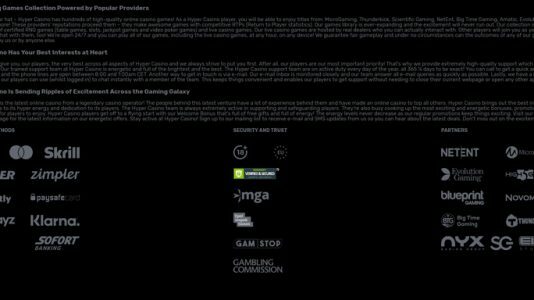 Licensed in Malta, UK and Sweden and powered by a decent selection of software producers like Amatic, Novomatic, Microgaming, Blueprint, Barcrest, Big Time Gaming, Netent, Evolution Gaming, Williams, Bally, IGT, Thunderkick, NYX, Elk Studios, Scientific Games – they are directly connected to the award winning L&L Europe group of casinos which was awarded Best Casino Group of 2018 at Casinomeister. They are untested at the moment, but are going through the Baptism By Fire right now. Please check out this thread and give up your opinion on how they are faring. 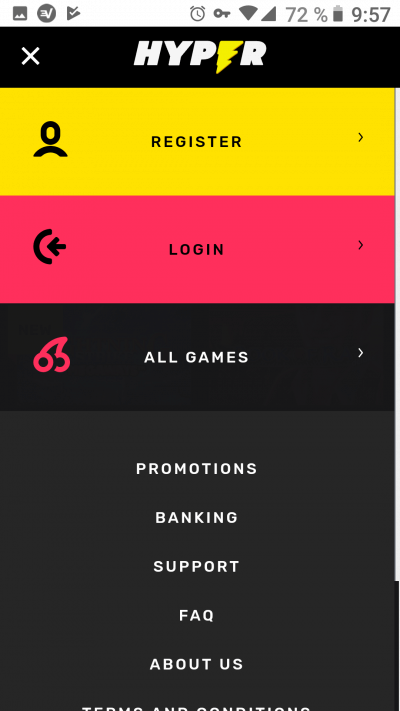 Hyper Casino Testing – Baptism by Fire. €5,000 per day. Progressive jackpots are excluded from this limit. 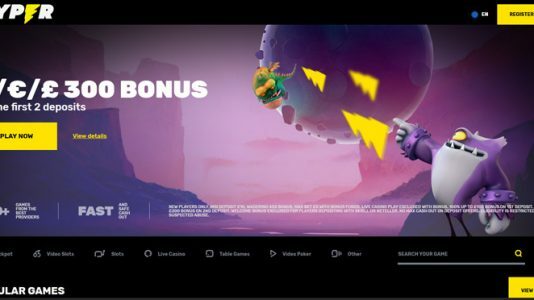 Hyper Casino has a massive selection of games – to include Amatic, Novomatic, Microgaming, Blueprint, Barcrest, Big Time Gaming, Netent, Evolution Gaming, Williams, Bally, IGT, Thunderkick, NYX, Elk Studios, Scientific Games. It is a slot focused casino with around 700 games for both your desk top and hand held devices. This is a brand new casino so we don’t have data yet from our Meister Minions. 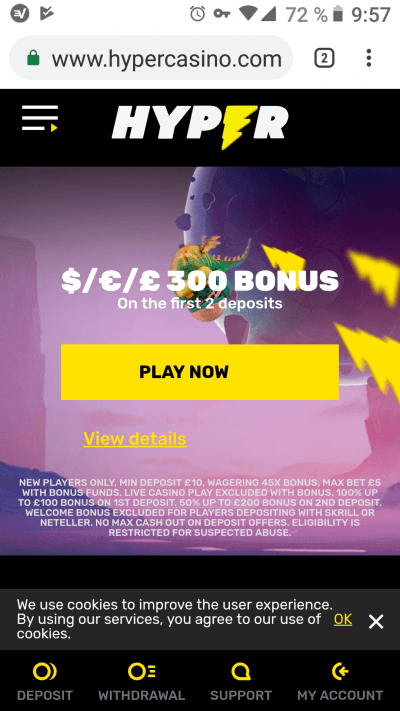 At the moment the casino is claiming payout within 72 hours of making the request. We should have more data soon. 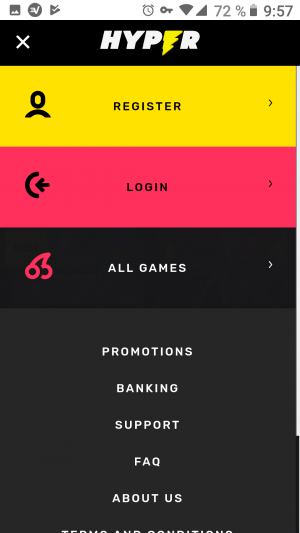 Hyper Casino has over 700 mobile games available for your iPhone, iPad, Android and Windows phones and hand held devices. Hyper Casino Terms and conditions Apply. I have faith that this casino will do quite well with our Baptism by Fire. They are part of the award winning L&L group and have their fingers on the pulse of the industry. They know what they are doing when it comes to taking care of their players. I would recommend them to my friends.